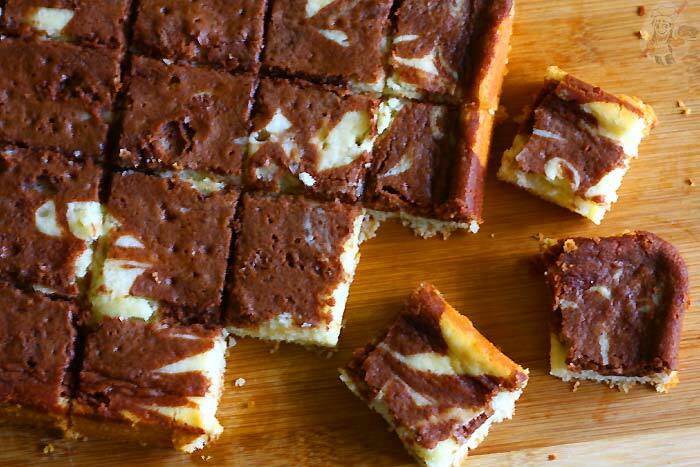 Chocolate and vanilla marble cake/pound cake have always been one of our favorite cakes. 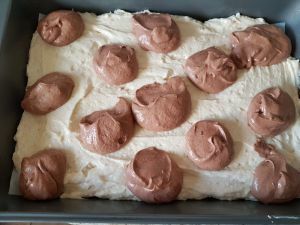 Being a fan I have tried to bake a marble cake without eggs, two times earlier and for some reason I wasn’t satisfied enough to blog about it and just had abandoned the idea of baking it again. Few weeks back tried to bake an eggless zebra cake and that flopped too. The taste was good but it didn’t look perfect. The zebra like chocolate stripes were missing and all messed up. So couldn’t blog that recipe as well. 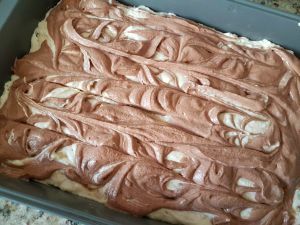 Now this rekindled the idea of baking a marbled cake again and I was looking for recipes and found this one. I kept my fingers crossed that it should turn out perfect but as usual messed up with the marbling effect. 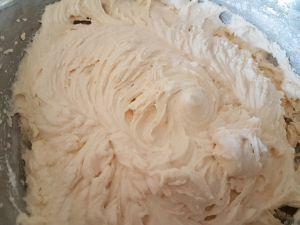 Even the recipes advised that I shouldn’t run the knife through the cake so many times mixing up the batters, I wasn’t sure if I would get the marbling effect and did it a couple of times. 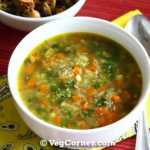 Of course it didn’t turn out as good as I expected but nonetheless the taste and textures was very good that I decided to share the recipe here. So please make sure that you just do it one time each direction and leave it undisturbed. 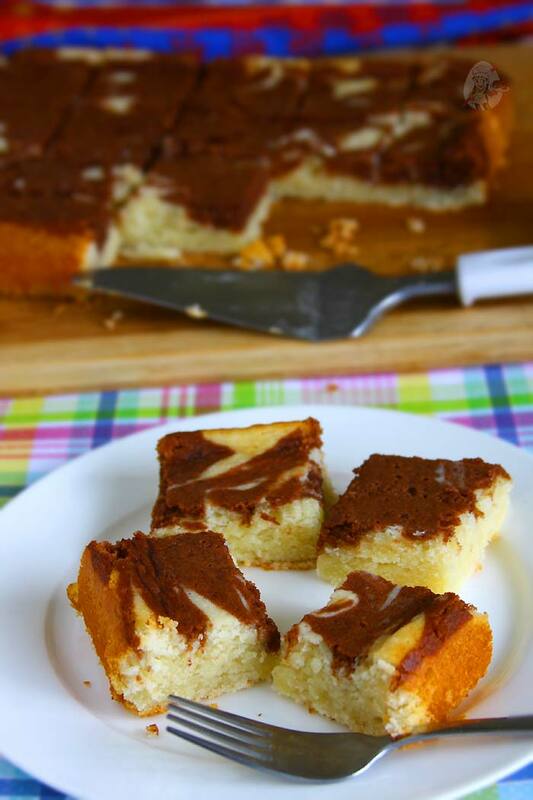 How To Make Eggless Marble Cake? 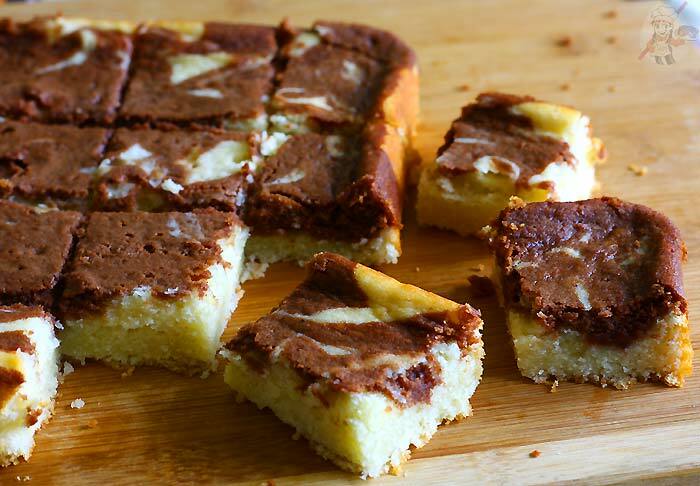 Here are the step-by-step pictures on how to make egg free chocolate vanilla marble cake recipe. 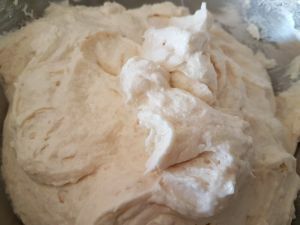 Add yogurt, vanilla, and vinegar to the mix. 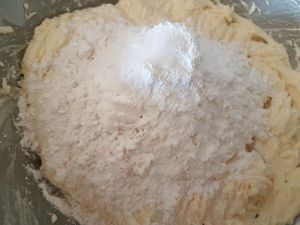 Add half-flour mix to the creamed butter. 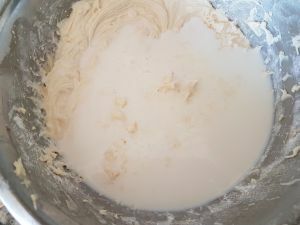 Spread 2/3rd of batter in a pan. 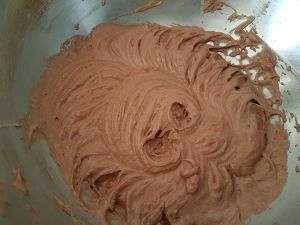 Add cocoa, milk, and sugar to remaining batter. 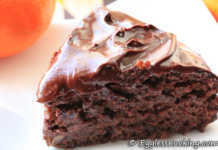 Rich, moist and buttery eggless chocolate vanilla marbled cake that will be an instant with family and friends. 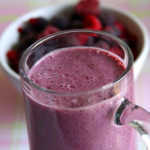 I want to try a strawberry version of the same by mixing strawberry milk syrup and see how it works out. Preheat oven to 350 degrees. 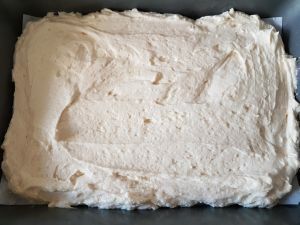 Line a 9×13 pan with parchment. 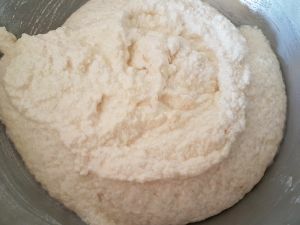 In a large bowl sift together the flour, baking powder, baking soda and salt; set aside. 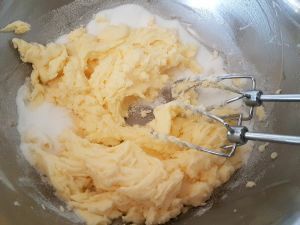 In another large bowl add the butter and sugar and cream well together. 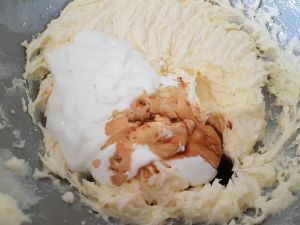 Add in the yogurt, vanilla extract and vinegar and then beat again. Add in 1/2 the flour mix. Add in the milk and beat again. 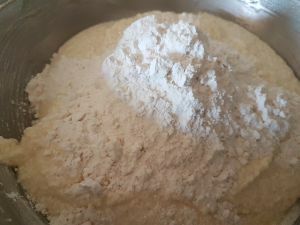 Lastly add in the remaining flour mix and beat until smooth. Spoon 2/3 of the batter into the prepared pan. 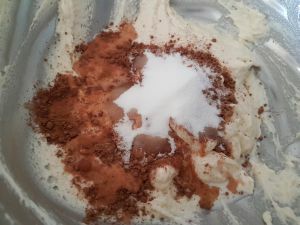 In the same bowl, to the remaining batter add the cocoa powder, sugar and 1 tablespoon milk. Mix until smooth. Spoon the chocolate batter randomly over the vanilla batter in the pan. 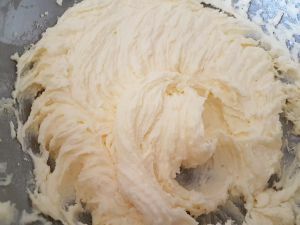 Take a butter knife and drag it back and forth through the batter the entire length of the pan. Then do the same thing the entire width of the pan. 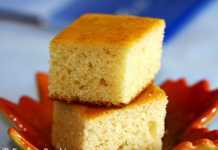 Bake at 350 degrees for 25-30 minutes or until a toothpick inserted in the middle of the cake should come out clean. Mine was done in 27 minutes. 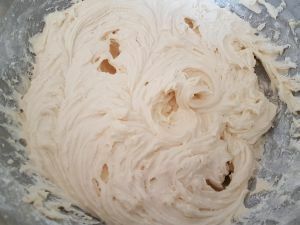 I didn’t follow the original recipe when it said less is better while mixing the batter to get the marbled effect. 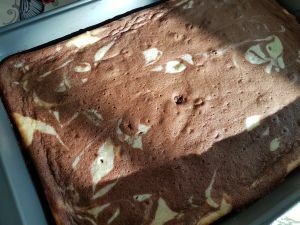 I was not sure if I had done it right and so went back and forth a couple of times and it did mess up the “marbled” appearance when the cake came out of the oven. So just one time each on either side should be fine and I can’t emphasize it enough. Have you tried making it in a loaf cake pan? would it bake or it needs to be “flatter” in a 9×13? I have not tried it in a loaf cake, but it should work. The baking time will be a bit more. 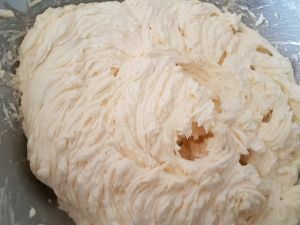 I baked it following the same recipe but different laying method of the batter. 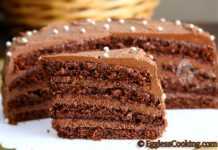 The recipe made super delicious cake. Thanx a ton for this yummylicious quick fix! 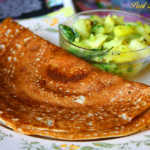 What is the substitute of butter in this ? I’m thinking 1/2 cup of oil or any vegan butter substitute. 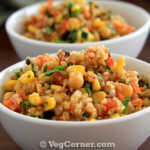 Hi, I tried this recipe and it was very good. Thank you very much for the feedback Juliana. Made this cake today. 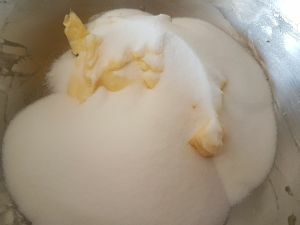 Cut down the sugar a little bit (I always do). Came out great, Recipe to keep and use over and over again. Thanks! Thank you very much for the feedback Vanessa.